On our recent return visit to Villa Solo, with another three years of villa reviewing experience under our belts, we decided we should have scored it a little bit higher, so we’ve adjusted the numbers to reflect this. The nothing-is-too-much trouble butlers here have all been trained by Magnums – one of the top butler training schools in the world – and it shows. We were really impressed! Most villas of this size in Seminyak are self catering, so a personal butler on call 24/7, plus a menu of delicious food (prepared by a chef in the main service kitchen), is a treat indeed. Nothing has changed at the villa itself, it is still very private, and it still looks new because it has been immaculately maintained, along with the plants that line its walls. Villa Solo is ideal for a single person, a couple, or even a family of three, looking for something bigger and better than a hotel room. An extra bed can be provided for a child. It is also very good value for money. Don’t expect anything grand: Villa Solo is simple, stylish, modern, practical, immaculate and private. We loved the attention to detail such as the potted orchids in the bathroom and living area, and the thoughtful range of amenities in the kitchen including ten different teas, four of every type of drinking glass, and a well stocked mini bar. We also appreciated the effort that the staff had made to ensure a romantic experience, by serving us a delightful, poolside dinner by candlelight. And we loved the privacy too. Villa Solo is the perfect escape after a busy day of sightseeing and shopping; just close the doors to the outside world and have a relaxing swim in complete privacy (swimwear optional). We didn’t regard Villa Solo as somewhere to hang out all day because there is no lawn or garden area, and no views. Nevertheless, the outdoor areas have been made very attractive with the planting of flowering shrubs and trees and fully justify a few leisurely hours over breakfast before heading out to the world. Wonderful place, wonderful stay and we had a great time. To the amazing staff at Lakshmi Villas. We truly appreciate all of your hospitality. Thank you for making our time in Seminyak feel like home. We could not have asked for a better experience. Thank to everyone at Lakshmi. Been a short but lovely stay. Great service all the way. We want to thank all of the staff for a fantastic time spent at the villa. It has been memorable and we will definitely come back. We will recommend your villa always. Friendly staff that treats you as family is not easily found. The villa and all the staff were discreet, attentive, very luxurious. The spa in your own villa is a must. Villa itself was lovely. We would recommend the villa. Thank you Agus and all the staff for looking after us. We come for a rest, and you made that more than possible. Not having a worry about anything and to have all your wonderful smiling faces around has given us the rest we were needing. Thank you for the wonderful service. Our trip was amazing, service was perfect. We will be back. Thank you again Lakshmi Villas for another wonderful stay. It was great to be back to see all the wonderful staff who always go the extra mile to make sure our stay is perfect. Until next time. Ten days of bliss. Lovely food. Lovely people. Thank you for your care and hospitality. Once again a fantastic and relaxing holiday. This is the third time here and as always it was a delight. Thanks again to all of the staff, who were exceptional. Thank you for a beautiful week in Bali. We have looked forward to a family celebration in your villas. The villas and the care by your staff was everything we hoped for. All staff we friendly and ever helpful. All request were attended so promptly . The villas were all immaculately presented yet maintenance did not interfere with our activities. The villa food was at all time delicious. Thank you so much for an amazing stay. You made our honeymoon so special. Thank you so very very much for a fabulous stay in May 2018. We came over for our honeymoon and it was everything that we had hoped for and more. Nothing was too much trouble, all the staff were so friendly and accommodating. Thank you for making our stay so special. A wonderful experience in a magnificent villa. Thank you to you all. Amazing villa and fantastic staff. What can I say, my stay has been pure bliss. Nothing is too hard. No request is rejected. Five stars is not enough of rating. Your simply the best. Thank you to all the Lakshmi staff. Your welcoming friendliness and attention to detail has made this a memorable and relaxing stay. Villa Solo is a delight to stay in, so peaceful and private. Its location allowed us to explore all the best restaurant and venues. Back here again third time. See you again later this year. All good. Love the villa ice coffee. Nice place, nice villa. I really enjoyed the journey in Bali. Thanks for the help to us from the butler to the other services. Thank you very much for your warm service and attention. What a great place, fantastic time here and wonderful staff. Thank you for looking after us, food fantastic, service fantastic, location fantastic. We thoroughly enjoyed ourselves. Thank you. A wonderful stay and great staff. The villa was fantastic. To the staff at Lakshmi Villas - thank you for your wonderful hospitality. We loved every moment of our stay. Our food was divine. We will definitely be back and recommending to all our friends. Seeing you next time. Thank you Mr Wira, this is our 4th stay at Lakshmi Villas and always a wonderful holiday. The staff are always smiling and friendly and keep us safe in our villa. The breakfasts are always on time and are so delicious, with the omelets being the best. With our appreciation, we say thank you again. We have fabulous memories of staying here in Seminyak. This is the second time i have stayed here and once again it exceeded my expectations. Thank you to all the staff for making this holiday pleasurable. It is a great place to stay and recommend. Thank you for an amazing stay. Everyone was so helpful and made our stay truly special. We will be back soon. We had a lovely stay, happy polite services, loved the quiet, relaxing pool. We feel so relaxed and will be back. Great stay, great people. Service was fantastic. We will be back very soon. Villas Solo was excellent quality accommodation for our family. All the staff are excellent 24 hours attention to all our needs with absolute privacy and luxury. Nothing was a problem we even enjoyed 2 nights in their newest upstairs apartment. So much space and quality fittings, great additional area for our extended family. Thank you for everything. Breakfast and dinner were exceptional. What a fantastic five days! The manager and staff at Lakshmi Villas couldn't have been friendlier or more attentive. We felt pampered and so well looked after. Thank you for making this such memorable vacation, we will be back. Aloha to Lakshmi staff. This was our second stay at Lakshmi Villas. Our first stay was last year in the Villa Toba. This time we enjoyed the intimate Villa Solo. Thank you so much for the wonderful hospitality, delicious food and incredible service. All staff was so friendly and helpful. Special thanks to Wira for finding me a guitar to play while here just in case some inspiration come my way. We look forward to returning again. Thank you for a wonderful 5 days at Lakshmi Villas, what a beautiful relaxing place where we could unwind to the sound of running water and the cockcrow. Lovely service, wonderful food and surround made special by the wonderful staff. We will be seeing you again. Thank you so much for all the great memories. The villa and staff were wonderful the entire time. We would definitely return soon and would recommend to friends and family. We will miss it all. It was a great trip here in Lakshmi Villas solo. The staff were friendly and helpful. Our stay at the villa was wonderful. The breakfast, especially the fried rice was yummy. Keep up the good team work. Thank you to all Lakshmi Villas. We only had a few days, but the villa and all the staff are fantastic. We will be back for longer with our family next year for a 60th birthday. Our 3rd time at Villa Solo.Thank you Agus and your wonderful polite and always friendly staff for making our 3rd stay a memorable one once again.The villa was kept clean and tidy from the garden to the bathroom.The food was delicious. We will miss your smiley faces until next time.Take care good health and keep smiling. My wife and I had a magical stay in Villa Solo. Wira and support staff were absolutely fantastic. Anything we wanted or needed was looked after. Morning breakfast was highlight by the pool with no children - was heaven! My sister and i had the pleasure of staying at Lakshmi Villas. The staff were so accommodating and serenity of the gardens made our stay enjoyable. I loved heaving the sound of the rooster and will miss the friendly butler service. What a fantastic stay we have had, the staff are amazing and can't do enough for you. We can't wait to come back. Thank you all for your kind and friendly service, we thoroughly enjoyed our stay here. Thank you to all the staff for making our stay in Villa Solo so special. We shall return. We stayed for one full wonderful week here. The staff was excellent and as usual charming. We will certainly come back and recommend the place. Thank you so much for being so welcoming and warm during our stay. We loved our villa, it was kept in amazing condition and the staff catered to our every need. I cannot wait to get home and tell our families and friends how much we loved it here and that they need to come and visit here too. Lakshmi is a little slice of heaven. So central & relaxing, a gorgeous hideaway especially for first timers to Bali. The staff are always there to assist with any needs. Excellent service! Thanks to everyone for looking after us so well. Thank you for a peaceful and relaxing time on our honeymoon. Staff here at Lakshmi are delightful. We will be back. What a wonderful part of the world. Amazing location and people. Thank you to all the staff including Wira for looking after us. Amazing stay here at Villa Solo, wonderful staff. Thank you very much and see you again soon. Thank you all so much. You have all been such great help with our first stay in Bali. We would like to commend you all on your service, your beautiful villas and the ability to go above and beyond for your guest. We have had an incredible honeymoon and hope to stay here again in the future. Thank you so much for a wonderful stay. The staff was amazing and took a great care of us. Until next time. We both thank you all at Lakshmi, for making us welcome. Your warming smiles brighten our days. The Solo Villa will be in our hearts forever. To the wonderful staff at Lakshmi Villas - Thank you for the incredible service, amazing food, outstanding hospitality and for giving us the honeymoon of a life time. Next time we are in Bali we will stay with Lakshmi Villas and we will recommend you to all of our friends and family back home. Thank you for a great time, we had lots of fun and the service was great. Well another fabulous stay at the Lakshmi Villas (solo). This is third time here it real fells like we are coming to our home. We love it here. So close to everything that we want while in Bali. The staff are great, extremely friendly, obliging. Wonderful 10 days. Thank you all again. See you next time. Amazing place, service was great. I wish i could take you all home with me. Villa is amazing and in a great location. You have a very cosy set up. Nice villa with all that is needed. Hospitality of your staff has been excellent. We really enjoyed our stay here and looking forward to being back soon. All the very best. This is our 10th year staying at Lakshmi and there is a reason we keep coming back. Service, experience, comfort and location are what makes likes a second home. To Agus and Wira and all staff of the team Thank you!. You guys are rock stars. Where would Bali be without you? So long my friends see you in 2017. Thank you so much for such a magical stay. We wish we had more time with you. The villa was everything we had hoped for more. This was amazing start to our honeymoon, wonderful memories. Now onward to more adventures in Bali. Thank you so much for all good things everybody has done for us. The house is amazing, the staff so so friendly. This is a real experience how holiday should be. Thank you so much for making the start of our honeymoon so good. The villa is absolutely amazing and has exceeded our expectations as has the service given to us from your team of professional, friendly and discreet butlers and cleaners.The food has been highlight of the last 4 days. We particularly enjoying the Tom Yam Soup. Thank you so much for every thing. We hope to be back soon. Thank you for your great service, beautiful villa and all your friendly smiles. It felt like our dream home. Hope to be back again. Thank you. Thank you for making our stay fabulous! We loved our stay at Solo a truly lovely experience made special by attentive staff who work out of their way to assist us. Our in-house dining was excellent and the special meals prepared by chef Nyoman and his team was top class. A truly lovely stay. Hope to be back one day. To Agus and staff at Lakshmi Villas. Thank you once again for such wonderful service - great host, great location. We love your villa and will return again. Thank you for wonderful service and attentiveness. The service and location of the villas was awesome. Thank you so much for looking after us. Effortless, soft, quiet and caring service that we could not fault. We so needed a rest from our hectic life and we get everything we hoped for and more. So looking forward to returning to this little slice of heaven. We had such a relaxing and wonderful time here. The service was fabulous and all food we have had was cooked perfection - the chef is very good. Thank you for this great moment. My stay here has been a delight. Thank you for looking after me to enjoy the serenity of Villa Solo. It has been the perfect week for me. I enjoyed the hospitality and top service of the butler. They have been so helpful. I have had service but not like this. I will miss this place and can be back soon. Supervisor Wira does an excellent job. We had an absolutely fantastic stay at Villa Solo. 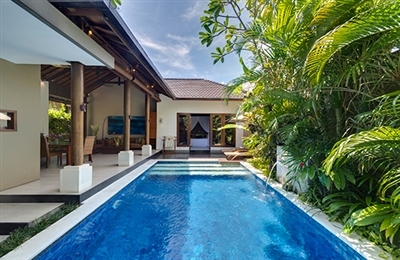 The villa has the best location, so close to great cafes, shops, restaurants and bars in Seminyak, yet down a quiet alleyway, and a 10 minute walk (max) to the beach. The breakfast was delicious and staff very helpful. The villa and pool are beautiful. So relaxing - we didn't want to leave! We loved our stay in Villa Solo. We were there for our honeymoon. The staff were wonderful. The food was amazing, and freshly cooked for every single meal that we had. The facilities were perfect, and just beautiful. The clenliness was exceptional. The staff were exptremley helpful and assisted us with all of our requests from what to see, to booking restaurants. The location was an easy walking distance to everything that we needed, and arranging guides and cars for us was no trouble at all. 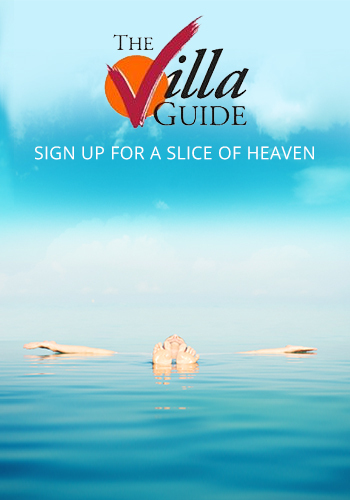 The villa was great, very good location and excellent staff who are always happy to help. Great place which I would recommend to anyone. Villa Solo is a very clean villa with all that you could ask for from a 1 bedroom villa. The pool is maintained daily and the gardens are lovely. This villa is very private. The bedroom is ample big enough with a beautiful outdoor bathroom area. The food on site is amazing. Very fresh and very well presents. YUM. Breakfast is served in your room at the time requested. Nothing is ever a problem. This is our second time in Villa Solo and we will be back. Oh and the Staff are very friendly have amazing english and will help you wherever possible. What a wonderful stay at Lakshmi Villa Solo, our very first time staying in a Villa in Bali where we have been holidaying for the past 30 years. Why haven't we done this earlier! We were originally tipped into the Elite Havens Group by friends who have used them for Bali stays on several occasions, and we are so glad we followed it up. We have stayed in many different properties/hotels over the years in several locations, including 5 star hotels; this last holiday we feel was one of the best. The staff were wonderful, friendly and attentive, the food great, including our complimentary lunch on one occasion. The location for us was sensational, everything we require for our Bali holiday right at our door step. It may have been our first Bali Villa stay but it most definitely will not be our last, we have been spoiled for life now. We highly rate and have no hesitation in recommending Elite Havens and the Lakshmi Villas. We are so happy we decided to stay at Lakshmi Villas because they made the trip so great and enjoyable. The service staff was amazing and friendly, and the location was perfect for shopping and going out to eat. We would gladly stay there again the next time we visit Bali. Villa Solo is enchanting and we would highly recommend it for a truly authentic Balinese vacation experience! What an outstanding villa. It was beautifully appointed... had a gorgeous pool...and what a location! The staff could not have been more helpful, from booking restaurants to shopping advice...even running out to get an ice pack for my injured ankle! Staying at this Villa was the highlight of our 20th Wedding Anniversary. Thank you so much. Beautiful, comfortable and reasonably well located. 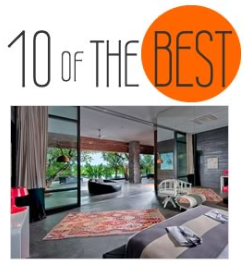 I have been travelling to Bali for the past 21 years and have been fortunate to stay in many of the worlds most Beautiful hotels including the Aman hotels and others who have consistently been recommended in the Conde Naste Traveller awards. Lakshmi Villas rank among the finest for location, design and quality of service. They offer a discreet, 5 star experience. Room service is exceptional and a pleasure to receive a masterchef meal from the chef, rather than a take in order reheated from a local restaurant. Location is everything. Villa Laksmi rates as one of the finest experiences I have been fortunate to enjoy in my international travel experience. Also, special mention to supervisor Wira. I lost my gold Mont Blanc Pen. Wira, the supervisor went above and beyond to locate after I had checked out and make sure it was returned to me. I have great faith in the integrity and honesty of the Villa Laksmi staff and management. based on 86 user reviews. On our recent return visit to Villa Solo, with another three years of villa reviewing experience under our belts, we decided we should have scored it a little bit higher, so we’ve adjusted the numbers to reflect this. The nothing-is-too-much trouble butlers here have all been trained by Magnums – one of the top butler training schools in the world – and it shows. We were really impressed! Most villas of this size in Seminyak are self catering, so a personal butler on call 24/7, plus a menu of delicious food (prepared by a chef in the main service kitchen), is a treat indeed. Nothing has changed at the villa itself, it is still very private, and it still looks new because it has been immaculately maintained, along with the plants that line its walls. Villa Solo is ideal for a single person, a couple, or even a family of three, looking for something bigger and better than a hotel room. An extra bed can be provided for a child. It is also very good value for money. Don’t expect anything grand: Villa Solo is simple, stylish, modern, practical, immaculate and private.